The jacketed hollow point (JHP) is designed to expand rapidly when hitting its target, which increases the effectiveness of the bullet and decreases the chances of over-penetration. Jacketed hollow points come in a massive variety, separated by shape, design or simply the company that manufactures them. When comparing JHP vs. HP, some jacketed hollow points will look just like traditional hollow points, but will be obviously coated. Others will have a more advanced and high-tech appearance. The nose is coated in a harder metal, helping prevent lead issues in your gun as well as the air and ground. The coating also helps this type of ammunition function better in automatic feeding pistols and rifles. Jacket: This is the number-one reason this type of bullet is chosen over traditional hollow points. The main advantage of a jacketed bullet is easier feeding in semi-auto pistols. Another advantage is less lead fouling in your barrel. If you shoot a good amount of ammo through any weapon, this can lead to performance issues as well as wear and tear. Expansion: HP ammunition is designed to expand when it strikes a target to cause extra damage and also to prevent over-penetration issues. This is perfect for home defense, concealed carry and hunting – and it makes a fun choice for shooting melons and water jugs. Variety: You can buy this type of bullet in a huge variety of shapes and styles. Each manufacturer has special lines for hunting, long-range shooting, target practice or defense. You can usually find pistol and rifle varieties, making this and other hollow points very versatile. 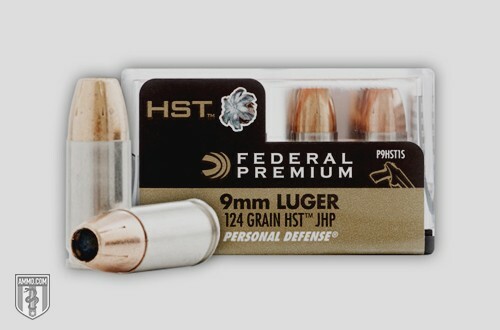 Some of the most popular calibers for the JHP cartridge are .38 Special, .45 ACP and 9mm. The most noticeable advantage any hollow point has over a normal bullet is its stopping power. When you hit a living target with a HP bullet, it’s going to cause significant damage. This usually guarantees the animal will drop immediately or not get very far. Hollow points are considered a more “humane” ammo type for hunters. These same properties carry over for home defense use. JHP rounds will feed better than lead nosed hollow points in most weapons that use a magazine, whether it's a pistol or rifle. The jacket has a much smoother surface, with less variation from bullet to bullet than traditional lead. The only real disadvantage a JHP bullet may have is expansion issues with thick clothing. This isn’t experienced much, and it's unlikely for typical home defense ammunition. Some reloaders have experienced this by not loading the round properly or when using experimental mixtures. For factory ammo, specific-use ammo lines or properly reloaded ammo, you shouldn’t have any problems. JHP ammunition is very popular because it performs very well in most capacities where a hollow point is desired without the lead nose.